I have to admit, of all the In Colors that will be retiring in May, Delightful Dijon is probably my least used color. I'm just not much of a fan of lots of yellows and oranges, unless they lean to more pale, sherbet type colors. But, sometimes, when paired with the right companion colors - I'm surprised by how well Dijon can work. 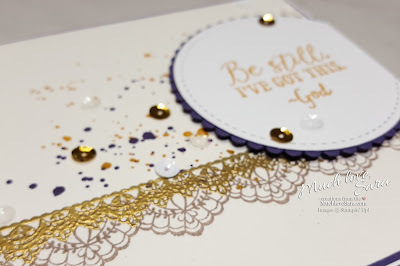 A few weeks ago our team had a color challenge with these colors, and I had a new stamp set I wanted to ink up - so despite my reservations about the Delightful Dijon, I participated. And, BOY, was I surprised. 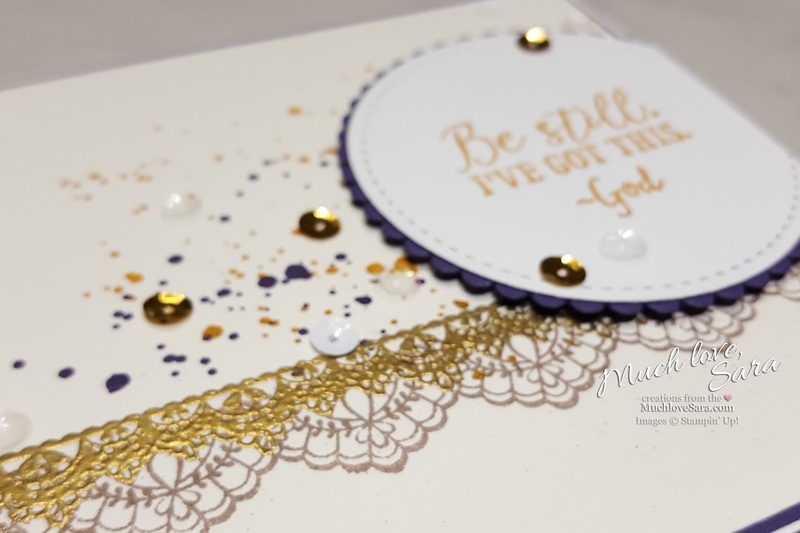 Paired with the gold embossing, and the deep Elegant Eggplant, the Dijon is gorgeous! 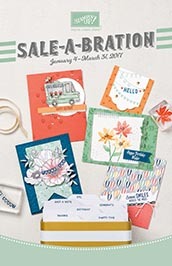 I used a Sale-A-Bration set (Delicate Details) to stamp the lace, and then added a few splatters with Gorgeous Grunge. My sentiment was stamped on Whisper White, which was die cut and layered over an Elegant Eggplant scalloped die cut. 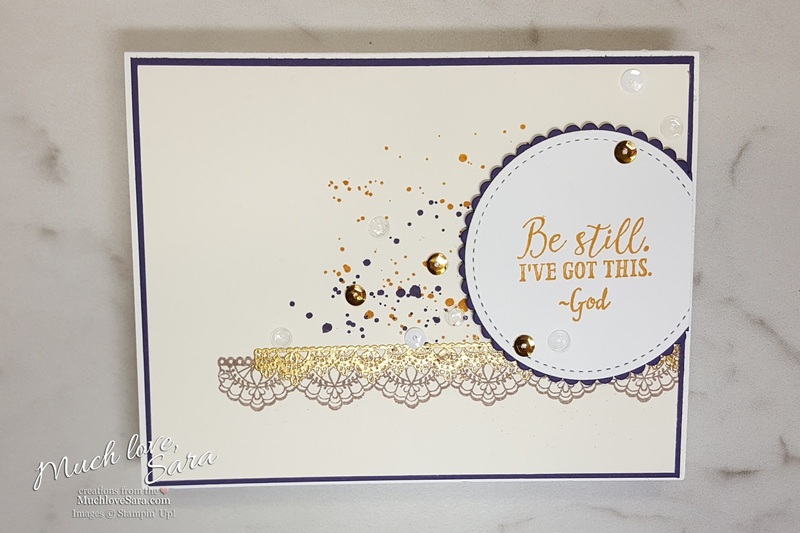 A scattering of Metallic sequins finished off the card, and brought the gold in from a second source. Very pretty! Love all of the gold!